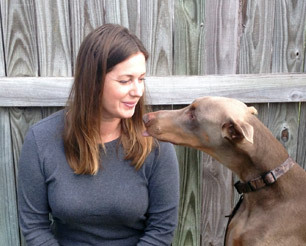 Sarah Tripp White is a certified, professional dog trainer located in St Petersburg, FL. Sarah is certified by The National Association of Dog Obedience Instructors ( NADOI instructor #1118 ); the oldest certifying association, offering one of the most rigorous instructor tests in the USA. She currently serves as Vice President and Membership Co-Chair of NADOI and is a professional member of the International Association of Canine Professionals. She has successfully trained thousands of dogs and their humans to date. Sarah began working with dogs in 2007 as a volunteer family dog trainer and group class instructor for a major local shelter in the Pinellas County area after graduating from their intensive hands on six week dog trainer program. In the summer of 2008 Sarah was asked to manage and serve as head trainer for a large established dog day care and obedience training center in Pinellas County, FL. Within months she was asked to partner in the business and eventually took over as sole owner-operator of the St Petersburg location in 2009. From the start Sarah established a reputation for reliability, safety, cleanliness and supervision with successful dog training programs and a focus on customer service. These standards propelled the facility into a top spot among the most reliable and desirable day care and training establishments in Pinellas County while under her care. Sarah sold the business in 2012 to down-size and devote her self full time to her passion for dog training. She is now owner and head trainer of Tripp’s Dog Training St Petersburg. 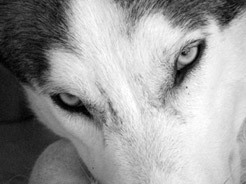 Owning and acting as owner- operator of a full service day care and training facility for five years afforded Sarah a level of hands on experience with canine group management and obedience training that has become invaluable to the success of her training programs. The store front afforded her an accelerated learning curve with a high volume of clients that she has worked thousands of hours with and successfully. Sarah started out offering the training services that matched her skill set as she learned, observed and worked with her clients daily, always keeping integrity and customer support in the fore front. Now after over 10 years of daily hands on experience and the successful training of thousands of dogs you can count on Sarah to provide you with a wide range of services and a highly professional training experience. Tripp’s Dog Training is located in St. Pete, Fl. We offer dog training services in St. Petersburg, Largo, Seminole, Pinellas Park and the surrounding beach communities of Pinellas County, FL. Sarah is a certified NADOI instructor (#1118), currently serves as Vice President of the National Association of Dog Obedience Instructors as well as Membership Co-Chair. She is a professional member of the IACP, has contributed training articles to the Wag Mag pet magazine, served as behavior consultant to a local rescue, is recommended by local veterinary and day care facilities and insured by Kennel Pro. Please visit our ‘Training Services” page for details about programs and don’t hesitate to call Sarah to discuss your current training goals and to get your free phone consultation. 727-479-4255.